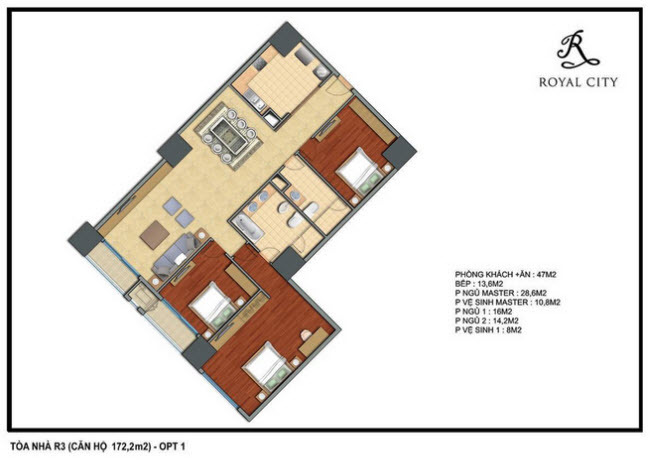 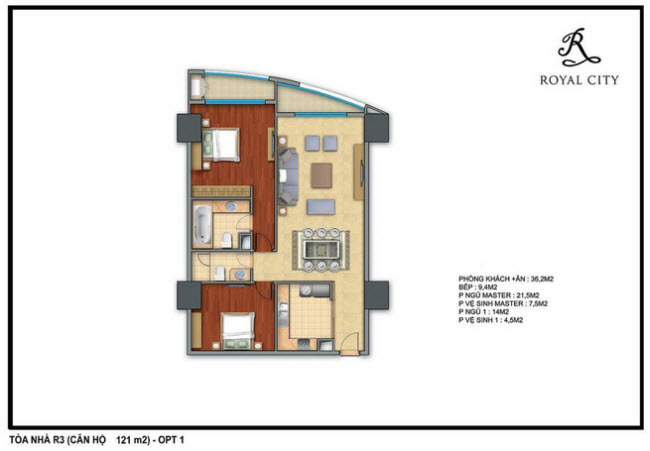 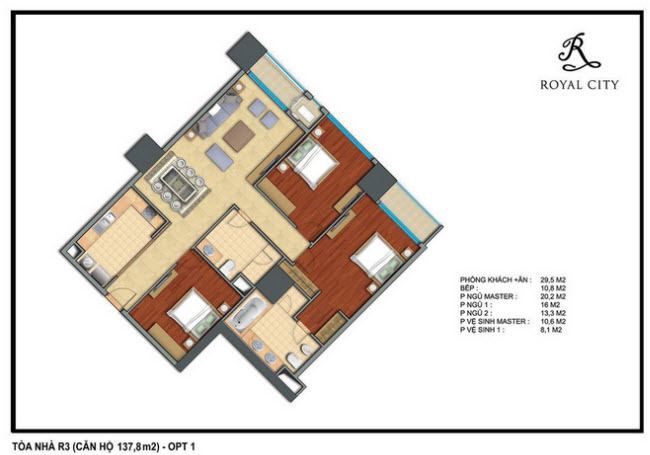 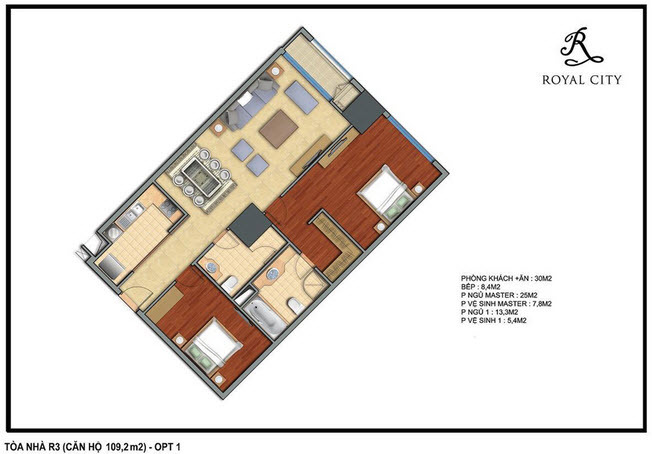 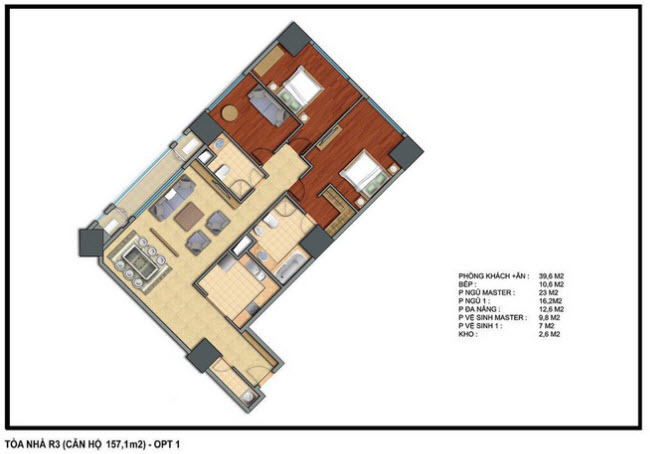 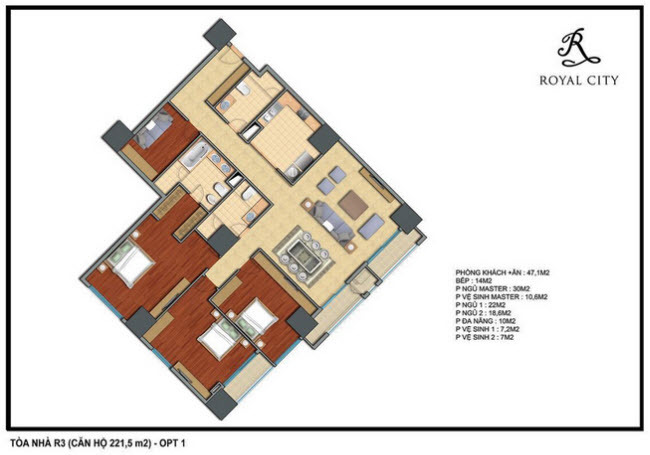 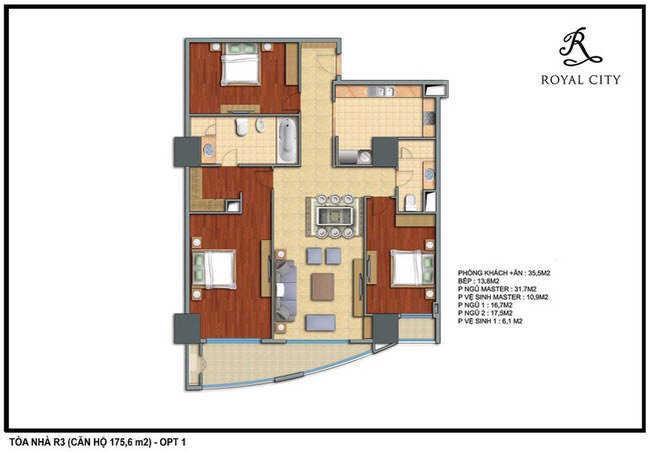 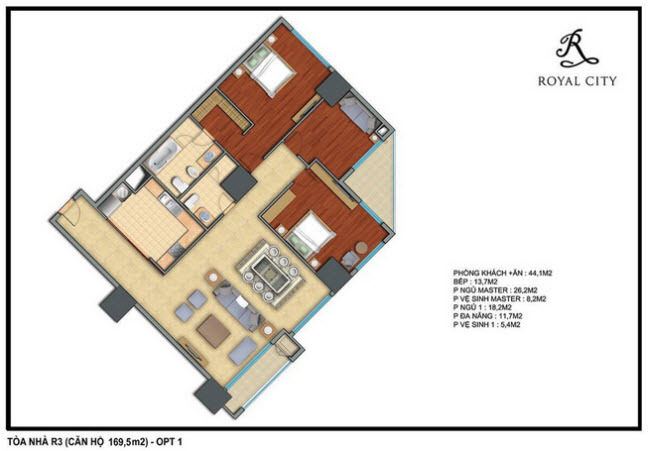 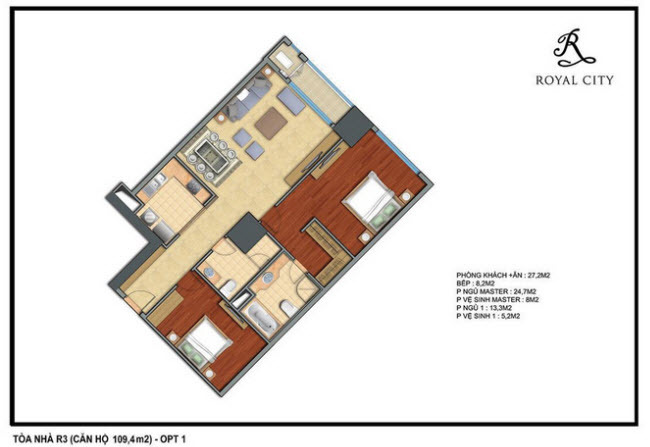 Sample apartment layout in R3 building has various areas ranging from 109.2sqm to 221.5sqm with 02 or 03 bedrooms. 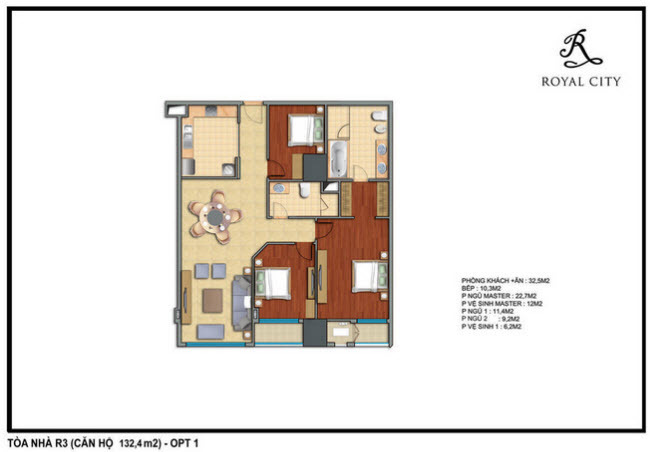 Apartment layout in R3 building has total 12 kinds of area. 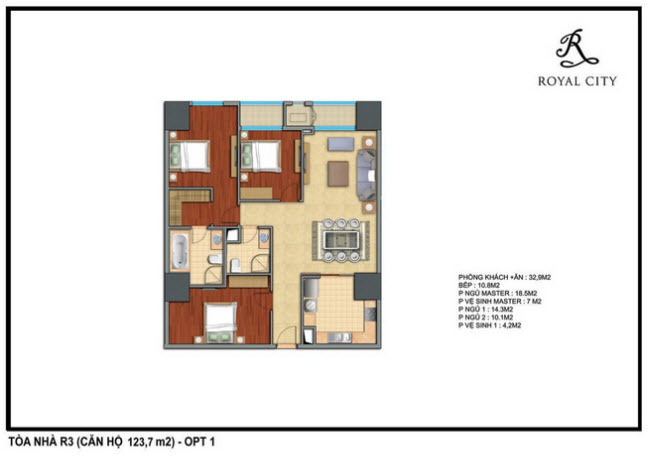 Areas in R1 building – Vinhomes Royal City include: 109.2sqm, 109.4sqm, 121sqm, 123.7sqm, 132.4sqm, 137.8sqm, 157.1sqm, 169,5sqm, 172,2sqm, 175.6sqm, 195.5sqm, 221.5sqm.